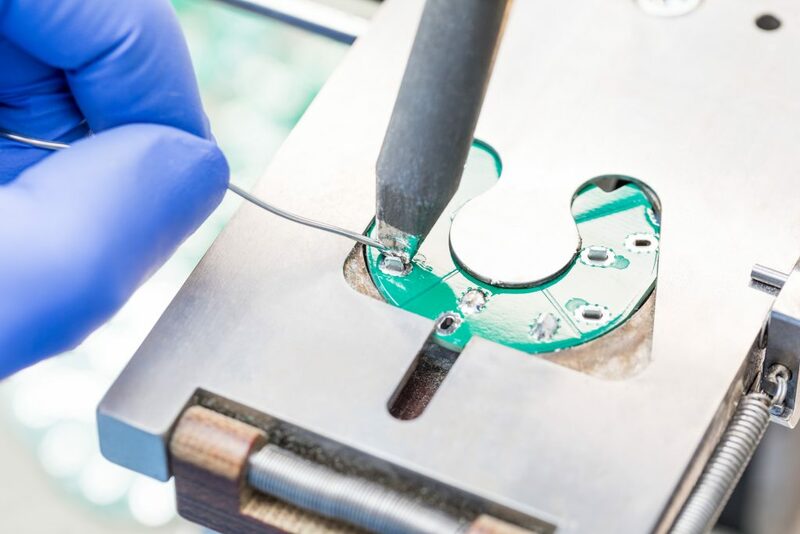 With controlled soldering stations and under protective gas, we solder with solder wave technology contacts and assembly parts to relevant standards and specifications. On our machines we can also twist and tin-coat strands. Regular calibrations of soldering stations are among the quality-related measures taken to ensure soldering quality. We supply all items in our product range in RoHS process-capable design. Upon request by the customer, we will continue to supply in lead-coated design.